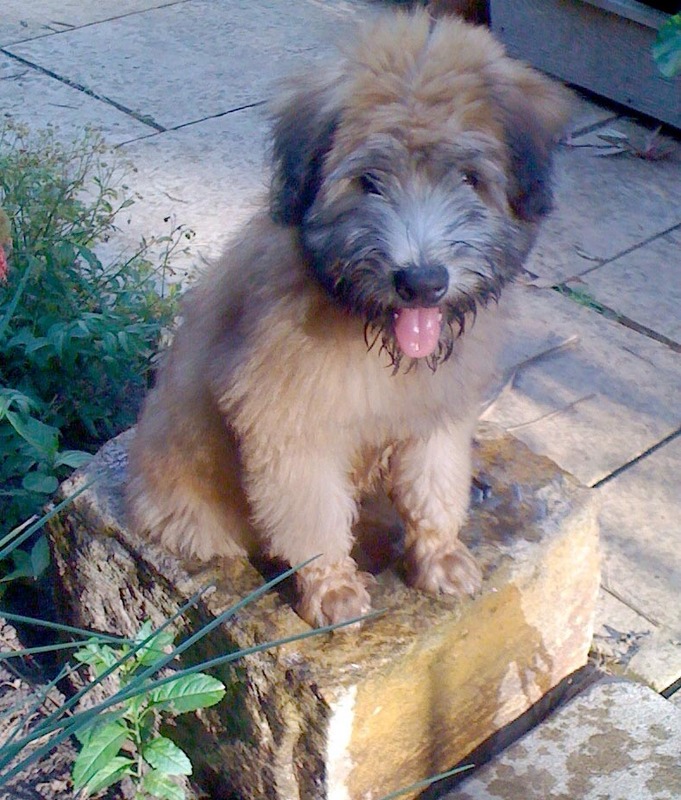 Our 12-week-old Wheaten Terrier is lively and occasionally feisty. We enrolled her in a puppy training class in order to establish some discipline in how she behaves with us and our friends, and with other dogs. We took her to her second session last night from which I have a few observations about group activities. The group training session lasted an hour and included ten dogs, ranging in size from less than a pound to thirty pounds. The group leaders conducted various planned exercises, including “call the dog”, “sit”, “follow me” and “on the mat”. In order to make it work, the leaders had various tools at hand, including leashes, treats, chairs and mats. This combination of planned exercises and tools worked very well. About half way through the session was a ten minute puppy play time. As you can imagine, this was very chaotic, with dogs running, tussling and rolling in every direction. But even this had a purpose, because it taught the dogs how to relate to other dogs, and it also got rid of a lot of nervous energy that was in the room. Successful church events have many of the characteristics that I observed last night. Event leaders have well planned activities that draw the interest of those attending. And those leaders need tools to plan, schedule and announce the event, communicate details, and record attendance and results for future planning. Fresh Vine provides all of these tools to your volunteer leaders through our software. And since it is online, it’s available to leaders wherever the Internet is – everywhere.